We believe children are a gift from God and we desire parents to feel safe when they entrust their children into our care during our gatherings. We follow Plan to Protect guidelines and require our children’s workers to pass a personalized screening as well as obtain Police Checks. We have programs during both our Sunday morning services based on age. A Nursery is available at the back our sanctuary. During the services our friendly volunteers enjoy spending time with your child playing age-appropriate activities, reading books or cuddling so that you are able to participate in the service. Sunday mornings we run a Pre-School program for ages 3-5. There are bible lessons, crafts and fun. These sessions are geared to help give our children an understanding of what Scripture teaches from an early age. We also have a Sunday School program for children ages 6-12. This program runs during the service and the children receive bible teaching, songs to sing, games to play and an opportunity to pray and be prayed for. If you would like to pre-register your child for our children’s ministry programs, please complete the registration form. This is a study from NavPress and the Life Change series. We will be studying the Book of John. Coffee, bagels and berries are provided! This study is open to women of all ages who wish to learn more about God through an in-depth study of 1 Peter. We hope you can join us this fall and feel free to bring a friend. Jenn Wilkin is an experienced teacher who has an easy to understand way of explaining the most complex concepts. Books will be made available as soon as possible, cost to be determined. The Women’s Bible Study will run until November 26. On Wednesday evenings from 7:00 - 9:00pm, we host a weekly dinner and Bible Study where we hang out, share a meal and grow in knowledge and love of God through the studying of His Word. 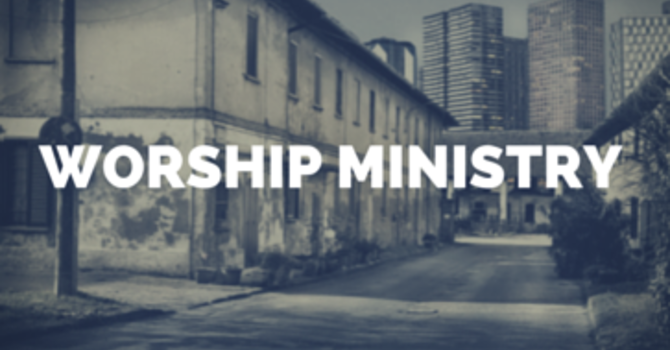 Are you interested in being a part of our worship ministry? We would love to give you the opportunity to serve and use your gifts and talents to the glory of God and the good of His church. We have an opportunity through our church family to show our love and hospitality to our community of Canmore by filling a community service opportunity at Food & Friends night. Food and Friends is an open invitation for a complimentary dinner for the entire community every Monday night from 5pm to 7pm at the St. Michael's Anglican Church, 709 7th Street in Canmore. For Volunteers: there is a large room in the back area of the church building, you can enter between the main church and the large room. Please plan to arrive at 4:00pm to help with setup, if you cannot make it right at 4pm please let Kay know. The host for the evening will explain the various duties you can help out with. Some of the duties include: serving on the line, keeping the drink table full, serving desserts, setup of new placesettings, dishwashing area, etc. Also, plan to stay until 7:30pm for clean up. You will be able to eat dinner during the evening as well if you like. Additionally, please bring a dessert to share for the dessert table. Desserts must be store-bought, nothing homemade due to health regulations. Skier’s Church takes place at Sunshine Village (just 8km past Banff) at the top of the Strawberry Chair on Sundays from February 3 to April 28 at 10:00am during the ski season. This area of the Rocky Mountains draws thousands of skiers and boarders to ski and ride every year. We wanted to meet people where they are and break down the stereotype of "church" — what it is, why it is, who it is, and why we worship! So we have a Ski in / Ski out mountain top service every Sunday to bring the Good News of the Gospel and Jesus to the mountains. You can meet and get know Jesus in the mountains and the Skier's Church will be there for you to come and see, to discover, and worship in a venue you are familiar with!